This famous organ was perhaps the one, above all his other creations, that signficantly enhanced the reputation of builder Peter Collins, whose workshop in Melton Mowbray BOA members recently visited. 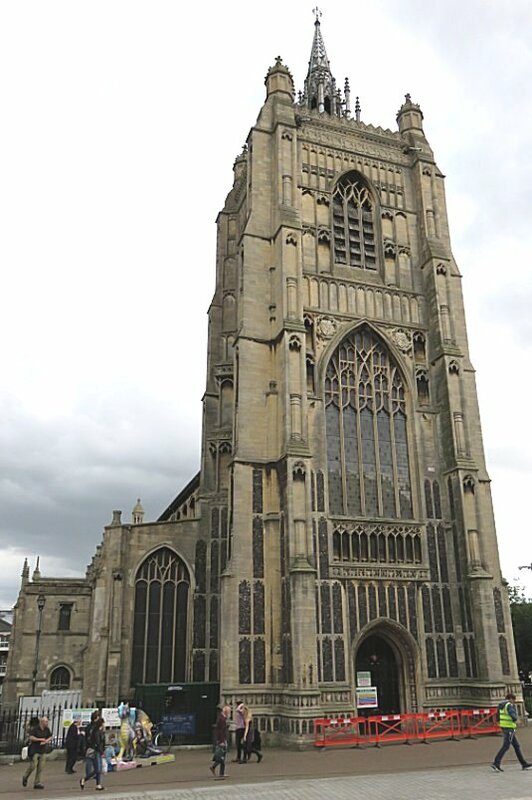 It was thus a welcome choice of venue to start this year's IAO Congress, based in Norwich, with a recital of music from Sweelinck to Mendelssohn by retiring IAO President James Lancelot. The first evidence of music in this 15th century church comes in 1707, when Renatus Harris completed an organ on a west end gallery here. It was replaced in 1912 by an instrument in the south transcept by Hele & Son, a residue of which still remains for occasional use at the east end of the church. 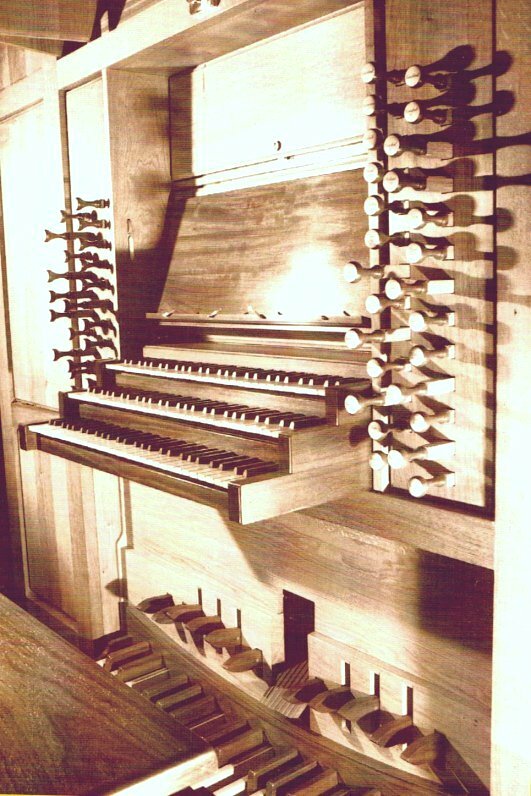 The present instrument follows the north European Werkprinzip model, with each of the four divisions of the organ based on a principal stop one octave apart, ie Pedal at 16ft, Great at 8ft, Positive at 4ft, Echo at 2ft. The six reed stops were actually made in Germany. The casework contains over 150 "tuned" panels all resonating at different frequencies, to focus & project the sound. Uncompromising though it may be to many British ears (Professor Peter Williams is quoted as saying to Peter Collins "However did you manage to get such as instrument in a parish church? "), for you will listen in vain for the thunderous rumble of a closed "full swell", it was undoubtedly stunning in the repertoire chosen by Dr Lancelot. 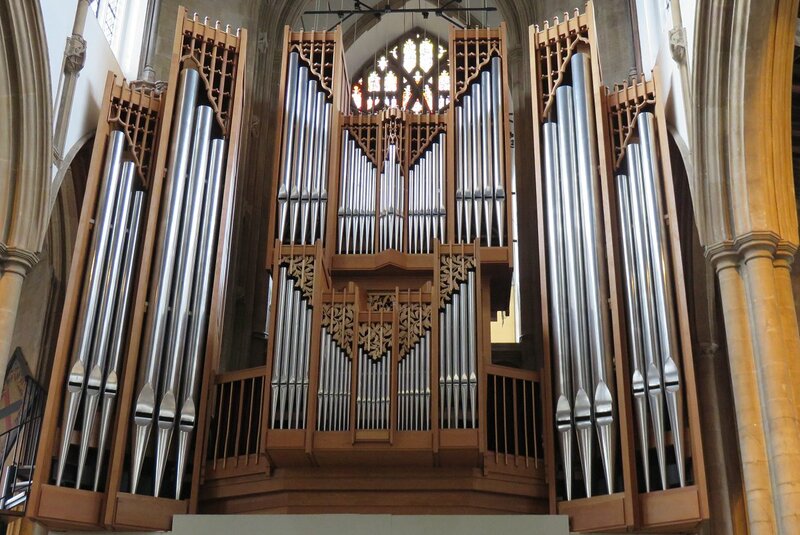 You can listen to this organ as October15's Music of the Month. The death of Peter Collins was announced on 24 October 2015: a sad loss to the UK organ-building world.